Guide to Cruising with Kids! As family holidays go, cruises are cost-effective, fun and convenient. With meals, accommodation and entertainment included, children's programs and numerous different cabin configurations for family groups, cruising is one of the most family-friendly holiday options on the market. Gather the clan and get onboard, with this guide helping you navigate the waters of family cruises. 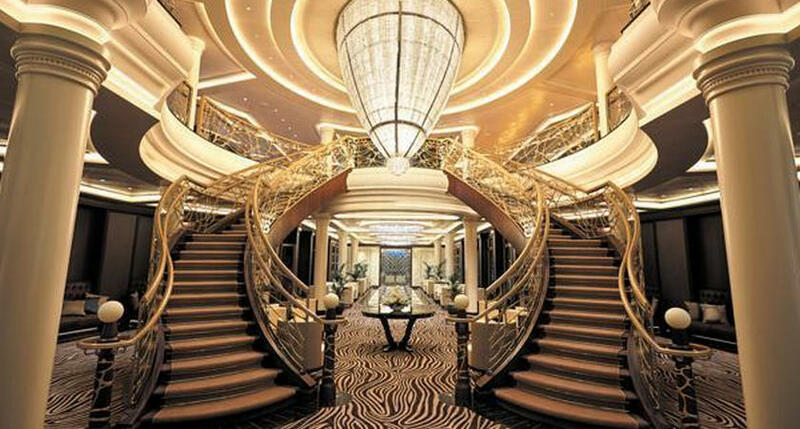 Celebrity Cruises: All of the big industry players cater to different age groups. Celebrity has dedicated Xbox stations and mobile consoles for one of the largest gaming experiences at sea. The technology overload continues with iTake, a video project for teenagers, with filming and editing. But the four main programs are called Shipmates (ages 3-5), Cadets (6-8), Ensigns (9-11) and Teens (12-17). X-Club Teen Entertainment is a fantastic hangout, while Fun Factory is for those aged 3-11. From games, sports, karaoke, movies and treasure hunts, Celebrity has an impressive activity line-up. P&O Cruises: Four supervised Kids' Clubs run from 9am to 10.30pm for those aged from 3-17. As you would expect from P&O, there is comprehensive entertainment from Turtle Cove, Shark Shack, HQ and HQ+. Broad Shorts is a partnership with Stop Motion Pro, giving kids the opportunity to create their own short film, while budding musicians can enjoy Teen Jam or take part in Your Kid's Got Talent at the Marquee Theatre. Expect plenty of music, arts and crafts, movies, theme nights, PlayStation, air hockey, iPad activities, scavenger hunts... In fact, probably too much for the little ones to pack in. It's important to remember that P&O have restrictions on the number of children people can take on a cruise, once an age-group limit is met, there's very little flexibility. If you are travelling with young ones during a school holiday, it's imperative you book at least nine months in advance in most cases. Demand is incredibly high. Royal Caribbean: Family cruising is a big focal point for RC and the award-winning Adventure Ocean program reflects that. Royal Babies and Royal Tots are for little ones aged 0-3 with a dedicated nursery, while Aquanauts takes care of those 3-5. Explorers, Voyagers and a comprehensive teenage package incorporate science, art, adventure, arcade machines, a water park and the ultra-cool Teen Spa and teen-only hang-outs. A major draw-card is The DreamWorks Experience, with characters from Shrek, Kung Fu Panda and Madagascar. My Family Time Dining is offered for the first seating time in the main dining room, for kids aged 3-11. Children enjoy their meal within 40 minutes of seating, before heading to the evening's Adventure Ocean activities (Kids' Club staff come to collect them) while Mum and Dad get to sit back and enjoy the last part of their meal as a couple. The program starts the second evening you're onboard. After that, you can use it each night or whenever you wish. After-hours babysitting is available in your cabin. While parents enjoy the night out, babysitters can entertain young cruisers (one year and older) conveniently in your stateroom. They'll bring along Fisher-Price toys and games and keep a log of the activities your child participated in while under their care. However, an hourly rate does apply. Princess Cruises: Youth Centres and Teen Lounges are incredibly popular, with trained counsellors part of the package. 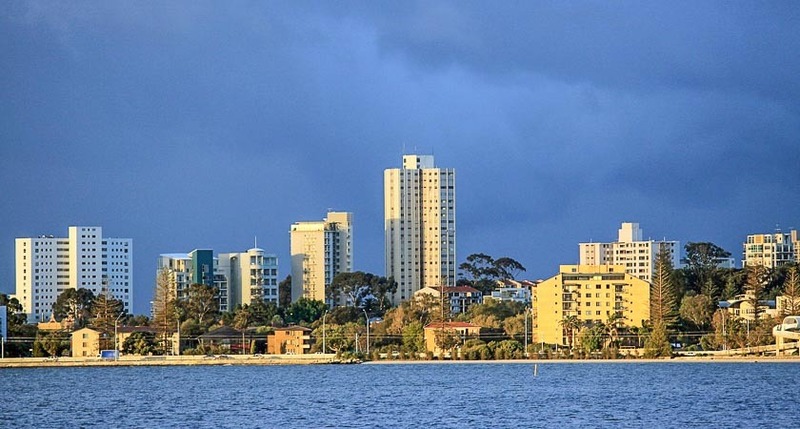 The Princess Pelicans (3-7) deliver dance and pyjama parties, funfairs and art projects, while Shockwaves (8-12) has video games, talent shows, California Science workshops, theme nights and plenty more. Meanwhile, the teenagers can look forward to exclusive Lounges, PS2/PS3, movies, sports tournaments, mocktail comps, makeovers and dance classes. The DJ workshops are also a big favourite. Princess also restricts the number of children travelling on a cruise, just like P&O. Babysitting is an option on many lines. Some offer in-cabin babysitting, which has an additional cost, but this isn't always the case. The most common form of evening babysitting is a slumber party-style drop-off centre with a small charge. 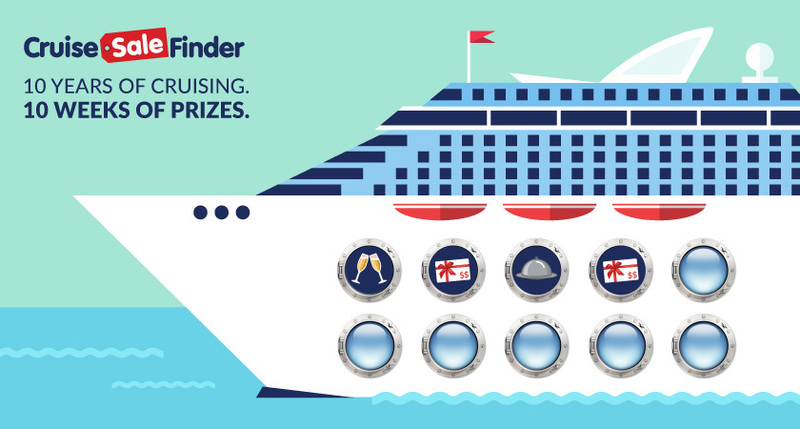 Be sure to check with Cruise Sale Finder when you book. With such a vast array of activities, you'd be forgiven for thinking you will never see your kids and end up wondering what they look like. 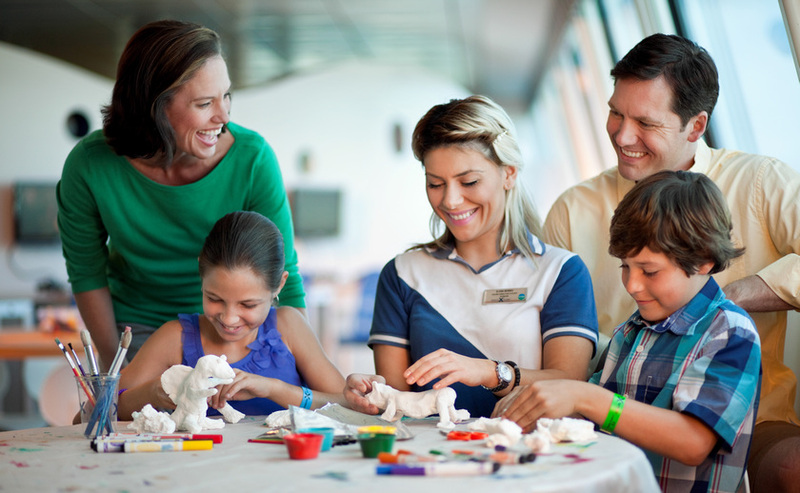 However, there are plenty of opportunities for quality family time onboard. Children's programs are not compulsory, and they can attend some days and not others, so you can partake in the many entertainment options as a family. 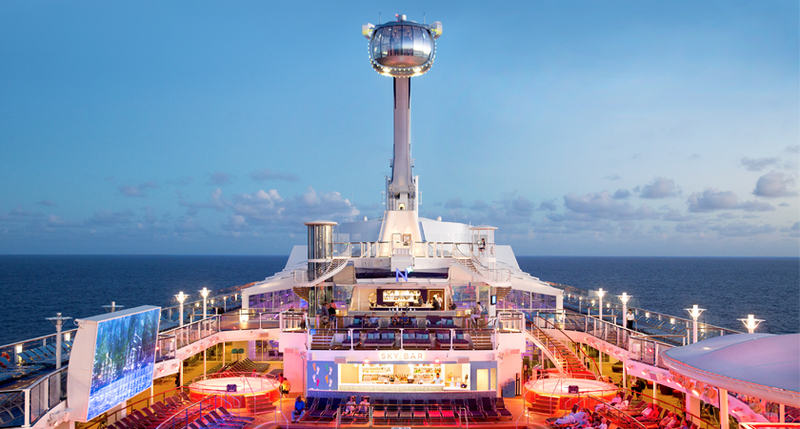 Lots of ships have mini-golf and rock climbing walls, while the biggest cruises offer carousels, ice skating, bumper cars and surf simulators. Organised events are also great for family participation - imagine teaming up for karaoke, taking dance lessons or cooking classes. Learning something new together is an excellent way to get in a little bonding. Meal times are another family affair. There are menu options for kiddie tastes in the main dining room and buffets are good for picky eaters, they can also choose exactly how much they want. A night at one of the speciality restaurants is a great treat for older kids, especially those with adventurous palates. A typical cruise cabin is set up with a twin or double bed, but families have options to sleep three, four or more. Triple or Quad cabins have pull-down bunks for little ones, or you can book suites and interconnecting cabins. As an example, P&O Australia has a range of interconnecting cabins in quad-quad, quad-twin and triple-triple configurations which accommodate a range of different sized family groups. Older children will likely enjoy having their own space, while parents will appreciate the ability to check on them through the connecting door! Babies and toddlers require a bit of pre-planning. Some lines, such as Royal Caribbean, offer diaper and baby food delivery, but these are at a premium. Bringing your own is the most convenient and cheapest option and food can be kept in your cabin fridge. For older kids, consider bringing some of their favourite snacks, just in case. Make sure the little ones have appropriate clothing, including nice pants and shirts or dresses for formal evenings. Other essentials include sunscreen, sunhats, sunglasses and swimwear. Motion sickness tablets are a great idea, as are watches for kids old enough to use them, so they can meet up on time. Handy miscellaneous items include toys, ziploc bags for a multitude of uses, sticking plasters to avoid a trip to the medical centre for minor grazes, disposable cameras, activity books and a portable DVD player. On shore days, and even cruising days, pack a change of clothes for kids in their or your backpack. The most important thing to remember on a family cruise is to have fun! Spending time together is a blessing, and to do it in a place with built-in entertainment, no cooking or cleaning and exotic ports to explore is even better. Find the right family-friendly cruise at Cruise Sale Finder and sale away with the whole crew. Do you have any tips for travelling with little ones? We love to hear from you so please add your comments below.